Episode Four of My Little Pony: Friendship is Magic was a little polarizing to the community. It changed the way we think about the universe that the Mane 6 exist within. That’s Twilights “Ugh, Fan Girls” face. 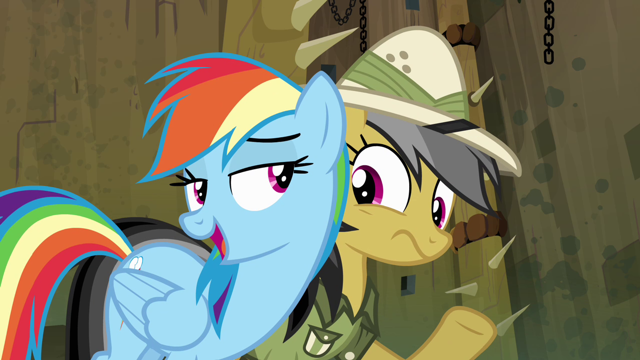 The episode starts with Rainbow Dash freaking out because they still have a few months till the new Daring Do adventure comes out. She’s read all the books over and over again. It’s the only thing she will talk about annoying her friends because every conversation becomes about Rainbow Dash and Daring Do. At a party thrown by Pinkie Pie, Rainbow Dash tries to find out if Twilight knows the author A. K. Yearling since they are both from Canterlot. Rainbow Dash is also crushed because she finds out the book has been pushed back. Twilight doesn’t know the author but mentions she might be able to find out how to contact the reclusive author. Rainbow Dash over does it though. They find out where the author lives and all the ladies set out to see if the author needs help. When they arrive at the Author’s cottage, they find the place ransacked with no sign of A.K. Yearling. Rushing in they look all over only to have the author discover them in her house. It looks bad for the girls. A.K. Yearling is unimpressed by their fan devotion and everyone else excuses themselves. 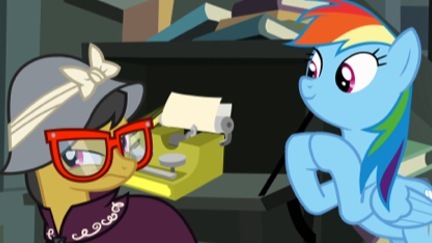 Rainbow Dash continues to annoy the author just as they are attacked. This reveals that Daring Doo and A.K. Yearling are the same person! Everyone freaks out and watches as the bad guys steal a magical ring. Daring Doo then dashes off after them and Dash tries to help out only causing more chaos. 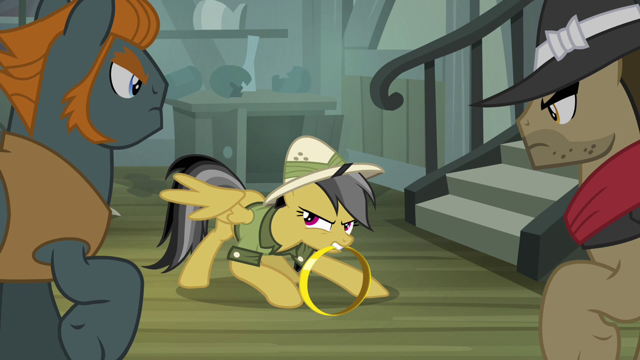 Daring Doo get’s captured because Rainbow Dash interfers. After the Mane 6 catch up, Rainbow Dash is retreating. They find out that their hero is in trouble and Rainbow Dash is so down on herself she tries to go home. The Mane 6 talk her into a daring plan to help resuce Daring Doo and remind Rainbow Dash of her own worth. That was really the lesson, that one hero, even though you admire them does not negate your own worth. 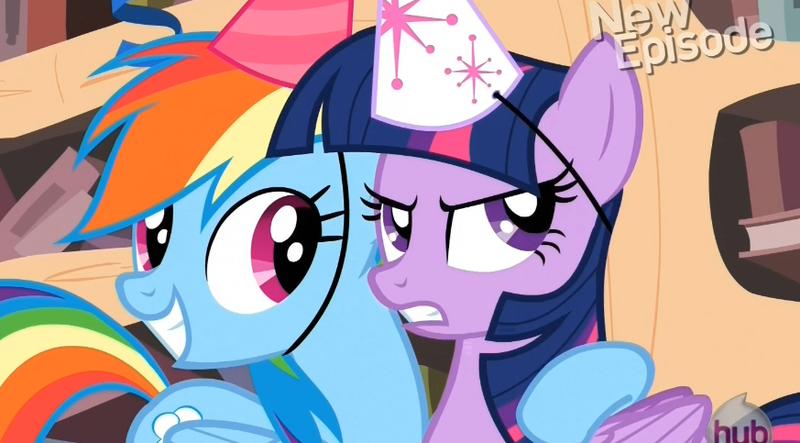 The episode ignited a minor scuffle amongst Bronies because they discovered the fictional character is real! Oh No! Honestly, I wasn’t to impressed by this revelation but it does make sense that there are bigger things happening in the world outside Equestria. Obviously, this is outside Celestia’s realm otherwise she would be more concerned with 1000 years of drought in her land. There are some great nods to Indian Jones and Allan Quartermain. The episode was written very well and is a good set up for episode 6. I guess it is going to be a very literary season! There wasn’t any obvious build up to the major story arc for the season, but who knows what will happen in future episodes.